A brief summary of Paul's work over the past decades as listed on Wikipedia: Paul Carrack (born April 22, 1951 in Sheffield, England) is an English keyboardist, singer and songwriter. Carrack has had multiple careers which have overlapped over the last three-plus decades. He has been a member of several bands including Ace, Squeeze, and Mike + The Mechanics, been a session and touring musician for several others, and has enjoyed success as a solo artist as well. His distinctive voice shows up on some of his affiliated bands' best-known hits. 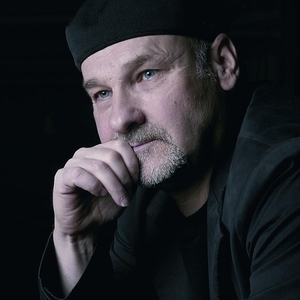 Paul Carrack (born April 22, 1951 in Sheffield, England) is an English keyboardist, singer and songwriter. Carrack has had multiple careers which have overlapped over the last three-plus decades. He has been a member of several bands including Ace, Squeeze, and Mike + The Mechanics, been a session and touring musician for several others, and has enjoyed success as a solo artist as well. His distinctive voice shows up on some of his affiliated bands' best-known hits.